Having educational options means families can make the best choices for their children. Each child has unique educational strengths, weakness, needs and preferences, and virtual schooling allows families and educators to address these differences. In many cases, virtual schools allow families and educators to evaluate a student and provide a customized education geared towards helping the student learn and develop. With education individualized to meet his or her needs, a student may be more willing to learn and more likely to excel. A student`s learning pace can prove a concern in any type of learning environment. In traditional classrooms, it is often important for students to adopt a pace that suits the classroom, so that no one lags behind others and no one gets too far ahead. Adopting an average pace is often important, in such cases, to keeping the flow of learning consistent and preventing students from becoming bored and frustrated. In a cyber school, however, this is typically less of a concern or a non-issue altogether. Because virtual education programs can be adapted to meet student needs, they often allow students to work towards mastery at the pace that is comfortable for them. Many students and their families appreciate the flexibility that cyber schooling can provide. Rather than requiring students to keep to traditional school schedules, many virtual schools allow students to create the learning schedules that best suit their lifestyles. Here, the point is not to learn at a particular hour but simply to learn. Scheduling flexibility can prove helpful for students who have other interests to pursue on a regular basis. For instance, it may help students who are heavily involved in art, music, dance, and athletic activities. It might also prove beneficial for students who volunteer, work, or participate in internships. Sometimes family dynamics or travel schedules also make flexible scheduling a plus. 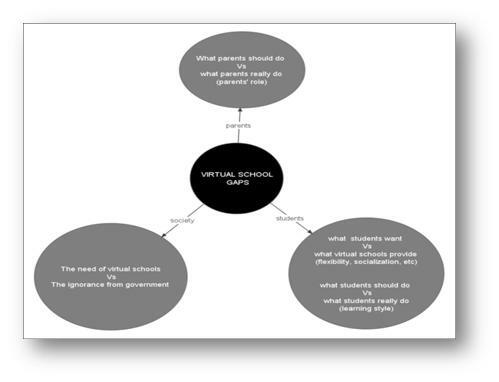 Often, families consider virtual schooling because of the support and guidance they can expect versus traditional homeschooling. For example, with cyber schooling, parents can benefit from the guidance of instructors and the support of counselors and mentors. Many schools also offer technical support, academic advising and tutoring help for students on an as-needed basis.